Want to see where Do a Day is showing up in the media? Do you run or contribute to a media outlook like a podcast, magazine, radio or TV show where you want to feature Bryan Falchuk and the Do a Day message? You can learn more and sample some of the media attention Do a Day is getting. 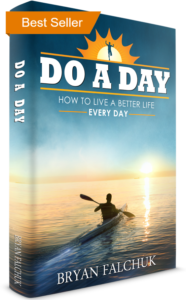 Download the Do a Day Media Kit today to get all the great details about Do a Day, and the success the message has had in getting out there. If you’re interested in booking Bryan on your show, please contact us today. And be sure to download the Do a Day Media Kit for more information about Do a Day and Bryan Falchuk.